Who should get the 2019 flu vaccine? Anyone above age 6 is encouraged to get the flu vaccine especially those who is at a high risk of serious complications from flu. Who can get it for free? can access the flu vaccine at no cost. Where can you get immunised in Western Australia? You can get it from your doctor, Aboriginal community health services, Central Immunisation Clinic, travel immunisation clinic, local immunisation clinic (see the list here), and certain local government councils (City of Bayswater, Joondalup and Wanneroo). What is the best time to get the 2019 influenza vaccines? It takes 2 – 3 weeks for your body to develop immunity. The influenza season usually occurs from June, peaks around August and lasts until October. Therefore, vaccinating from mid-April 2019 will allow people to develop immunity before influenza transmission is at its peak. However, it is never too late to vaccinate since influenza can circulate all year round. What is included in the 2019 seasonal influenza vaccines? Afluria Quad® (Seqirus), Flu Quadri® (Sanofi), Flu Quadri Junior® (Sanofi), Fluarix Tetra® (GSK). If you aged 65 and over, you will get an enhanced three strains vaccine [Fluad® (Seqirus)] which will contain the H1N1 strain, H3N2 strain as well as the B/Phuket/3073/2013 like virus strain. Is there latex in vaccines? Is the 2019 influenza vaccine safe? Yes. All the 2019 influenza vaccines available in Australia have to pass through a set of strict safety testing before being the Therapeutic Goods Administration (TGA) approve for use. The flu vaccine cannot cause flu because it is made from a killed virus. The survillence system AusVaxSafety showed that more than 93% of people who took the flu shoot in 2018 reported no reaction. Those who reported a reaction had injection site reaction (2.3%), fever (0.9%) and rash (0.2%). In 2017 across Western Australia, there were 6,044 confirmed cases of flu. About 25% of these cases require hospitalisation. 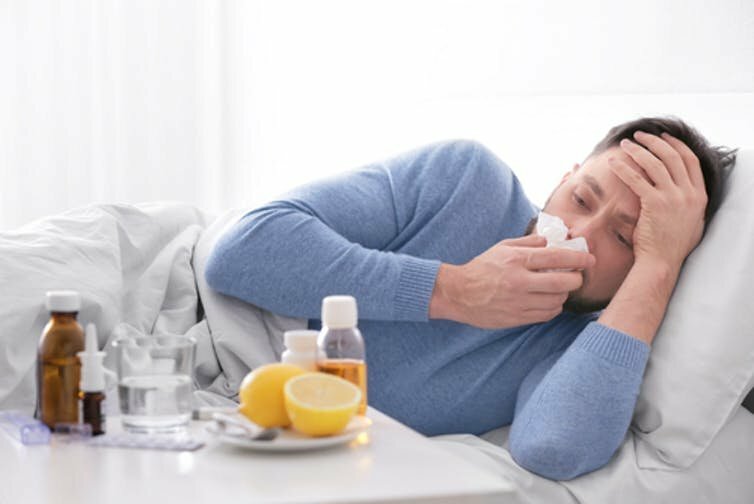 Some people will develop complications of the flu can include pneumonia, inflammation of the heart, brain, or muscle tissues, and multi-organ failure which can kill you. Flu can be easily spread by coughing, sneezing or touching contaminated surfaces and you won’t be able to see the virus. Vaccination is an important competent in fighting the flu in addition to practising good hand hygiene.